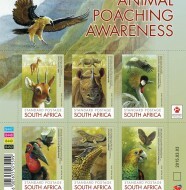 Everything South Africa – SA Post Office last stamp issue of 2012. Go Digital! SA Post Office last stamp issue of 2012. Go Digital! 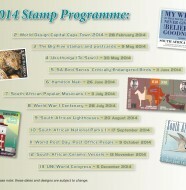 Home » Philately » SA Post Office last stamp issue of 2012. 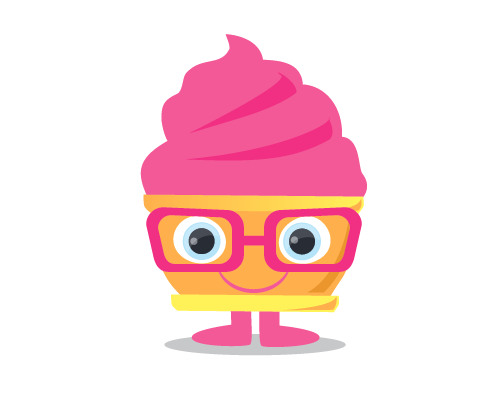 Go Digital! The broadcasting environment is going through amazing changes owing to the development of digital technology. In South Africa, the Department of Communications embarked on a promotional campaign to educate and inform the public and to create more awareness about the digital migration or Digital Terrestrial Television (DTT). 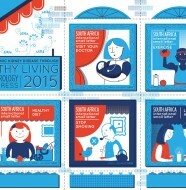 Go DIGITAL South Africa is a catch phrase for the digital migration process in South Africa. Television has been available in the country since 1976; at first only in black and white and eventually evolving to colour. Today, 11 million households in South Africa own television sets and they can watch a variety of programmes in their own languages. Government continues to ensure universal service and access by providing broadcasting services through the digital migration process aimed at enhancing diversity and access. The digital migration process will provide access to more channels, which will offer a variety of viewing options including programmes on sports, children’s interests, parliamentary sessions, entertainment, music and movies. Every citizen irrespective of geographical location, race, or economic status will enjoy access to all free-to-air channels with good quality picture and sound. On-screen electronic programming guides and program synopsis will be available. Parental guidance and control of programmes, as well as disability services for hard of hearing and sight will be available. Digital migration can be defined by two concepts: the switch or migration from analogue and digital signals. 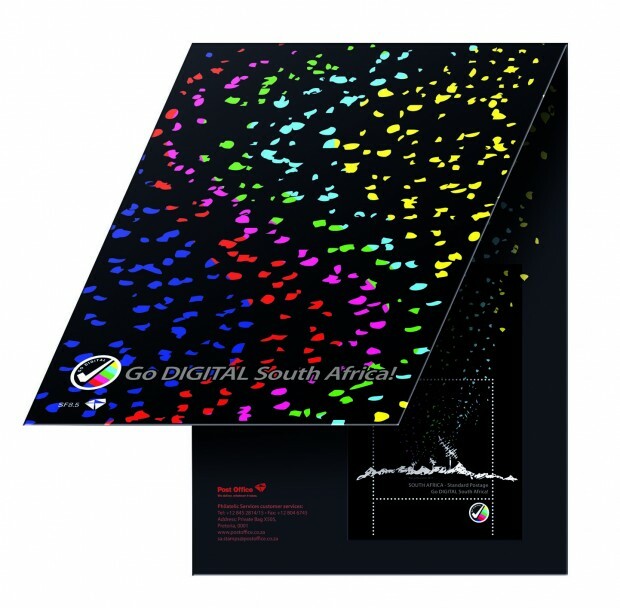 With this miniature sheet, the South African Post Office commemorates the implementation of the “Go DIGITAL South Africa” campaign. 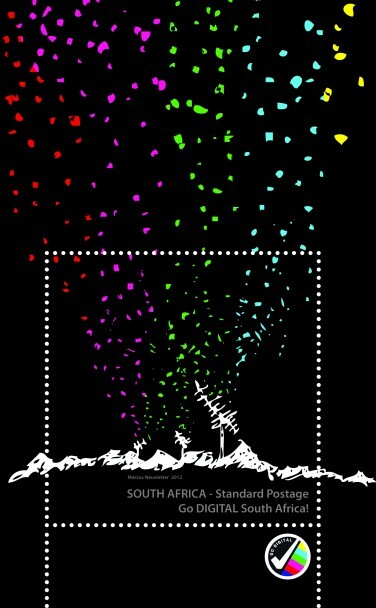 The design of the miniature sheet by artist Marcus Neustetter, visually represents intangible digital data that flows through space to the receivers, which translate this data into images.